Jeff grew up in a small rural community in Nebraska. He did his undergraduate training in the study of religion and philosophy at a Benedictine seminary, Conception Seminary College (1981-1985), and his graduate work in the comparative study of religion at the University of Chicago (1985-1993). He has taught at Westminster College in New Wilmington, Pennsylvania (1993-2002), Harvard Divinity School (2000-2001), and the University of Colorado (summer 2009). He has been teaching at Rice University since 2002, where he holds the J. Newton Rayzor Chair in Philosophy and Religious Thought. 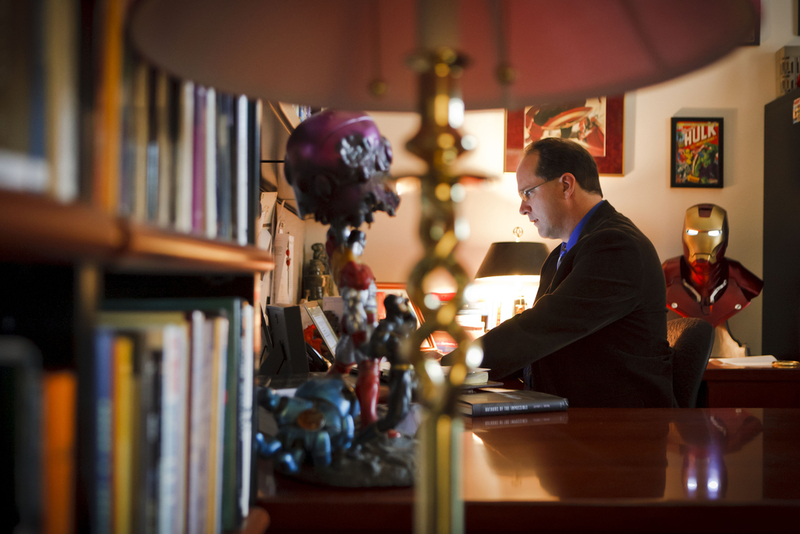 Jeff chaired the Department of Religious Studies for nine years and helped create the GEM Program, a doctoral concentration in the study of Gnosticism, Esotericism, and Mysticism that is the largest program of its kind in the world. He is also the Associate Director of the Center for Theory and Research at the Esalen Institute in Big Sur, California—a think tank dedicated to the exploration of the nature of mind and human potential in the sciences and the humanities and creative long-term projects around interfaith dialogue, conscious business practices, citizen diplomacy, and environmental sustainability. Jeff is the author of eight books, most recently The Super Natural: A New Vision of the Unexplained (with Whitley Strieber), Comparing Religions: Coming to Terms (Wiley-Blackwell, 2014), and Mutants and Mystics: Science Fiction, Superhero Comics, and the Paranormal (Chicago, 2011). He specializes in the comparative study and analysis of extreme religious states from the ancient world to today. His full body of work can be seen here.